“Swinging on a Star” was written in 1944 by the songwriting team of Jimmy Van Heusen and Johnny Burke. 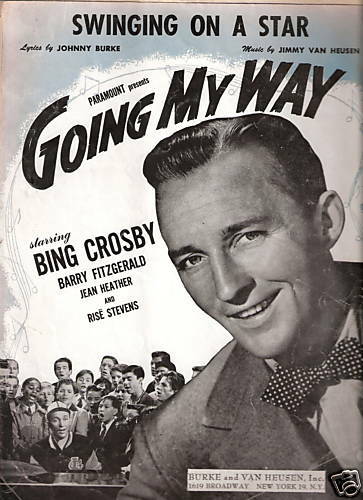 It was written for the movie Going My Way, starring Bing Crosby and won the Academy Award for Best Original Song for that year. Crosby recorded a very successful version of the song in 1944. Other recordings include those by Rosemary Clooney, Burl Ives, and Ruby Braff, among many others. “Swinging on a Star” was recorded in June 1998 and released that same year on the album The Playground.